RigRunner is a powerful remote controlled computerized tracking system for film or television. 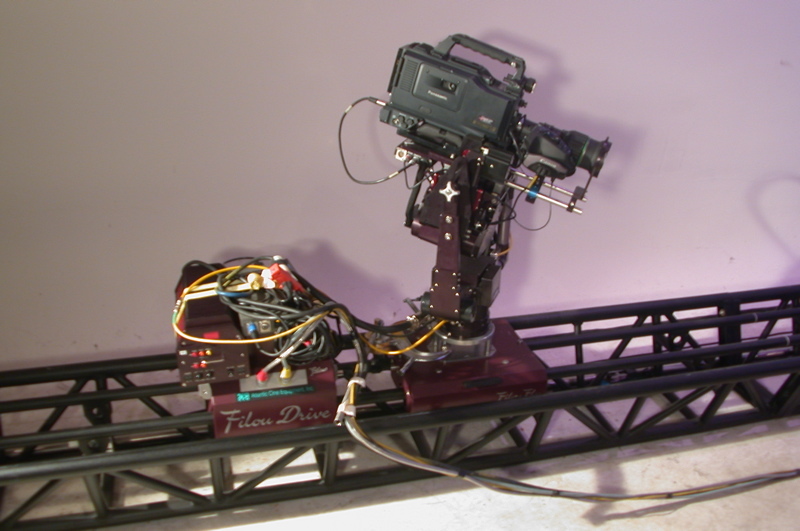 The unique power unit pushes or pulls a dolly that is mounted with a remote head. 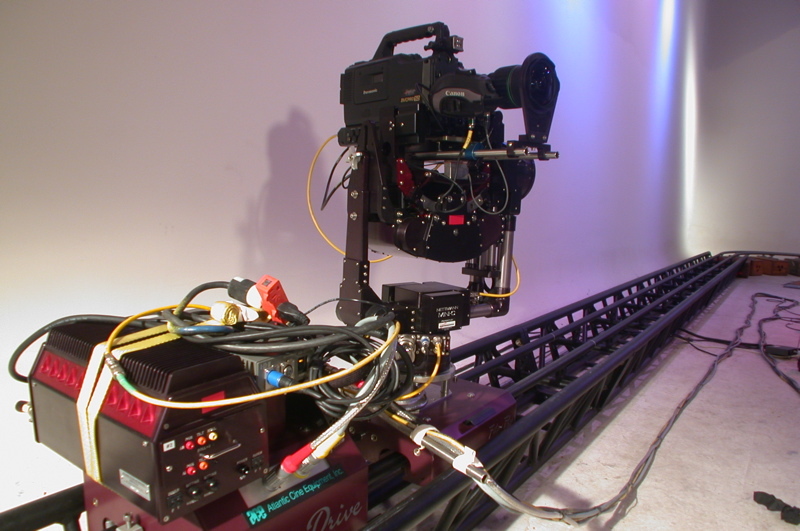 This push-pull arrangement allows the unit to track around very tight curves. 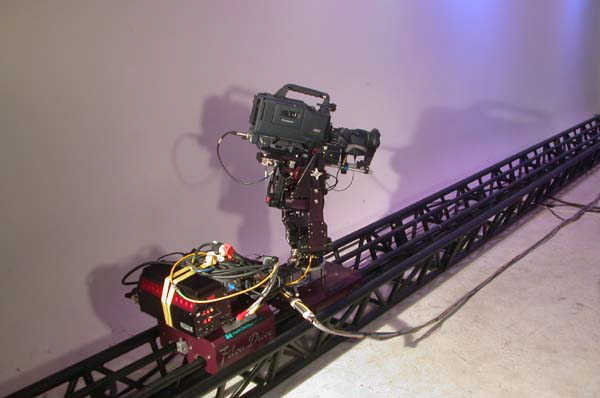 The system can achieve speeds of 15 feet per second with loads of up to 200 lbs. 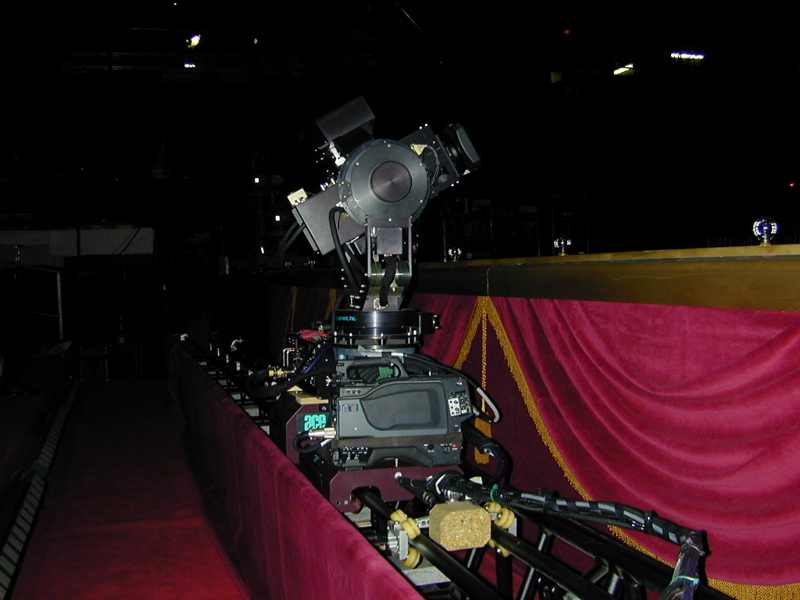 The unique truss style track allows for quick set-up and leveling in the upright configuration and provides the necessary structural specification to operate overhead in the under-slung position.